The Bank of East Asia was founded in Hong Kong in 1918. A financial institution that enjoys a long history of respect across Asia, the Bank of East Asia has been considered one of the region's premiere businesses for quite some time. The Bank of East Asia has been growing steadily since its inception. 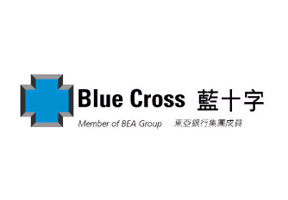 Blue Cross originated as the Bank of East Asia's insurance arm, providing top-quality health care to complement its financial services. Operating since the mid-1970s, Blue Cross has expanded from its original base in Hong Kong to encompass the greater area of Asia Pacific and then the rest of the world. The Bank of East Asia is committed to providing the best available worldwide care, and has developed Blue Cross services to serve you across the globe. With an initial focus on travel insurance, Blue Cross became well-acquainted with the challenges of living and working abroad. Whether you will be working outside your country of origin for a short time or relocating permanently, Blue Cross has coverage that will suit your global needs. The international reputation of Blue Cross attests to its specialty in providing for expatriate clients like you. One of the many factors that make Blue Cross's coverage convenient for mobile lifestyles is an easily navigable website that lets policyholders access their information around the clock. This means that, wherever in the world you may be, you can manage your services through Blue Cross online. Ground-breaking technology developed by Blue Cross received accolades from the industry, being granted the prize for 'Innovative Technology of the Year' at the Customer Relationship Excellence Awards in 2003. The 'Intelligent Insurance Machine', or the IIM, is just one of many progressive ideas that help Blue Cross be a leader in the field of international insurance. Other awards given to Blue Cross include 'Best Travel Insurance Company' by the readers of Weekend Weekly Magazine, received in both 2005 and 2006. Blue Cross was lauded with the 'High Flyer Achievement Award Health Insurer' by Hong Kong Business magazine in 2006. These awards are a reflection of Blue Cross's dedication to providing excellent service and a wide variety of care to its clients around the world. Blue Cross is constantly growing and changing, making efforts to serve you better in this increasingly global world. For more information about expatriate insurance options from Blue Cross, contact our insurance experts.